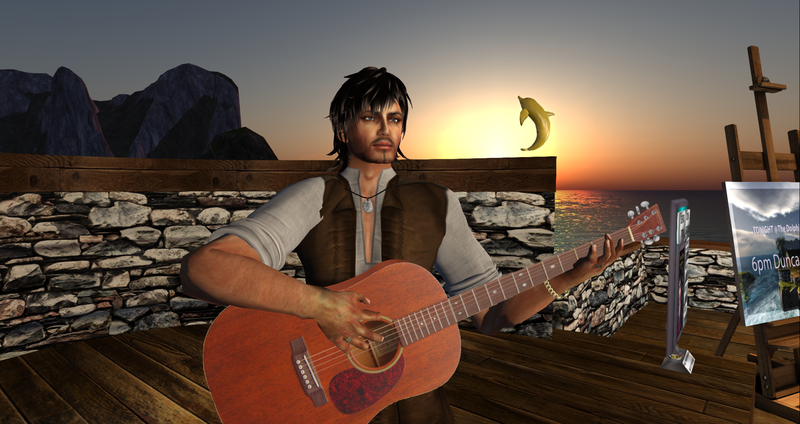 Duncan Bagley TONIGHT The Dolphin Cafe 6pm SLT! Duncan Bagley is on stage at The Dolphin Cafe at 6pm SLT TONIGHT! Join us – casual dress, under the stars, surrounded by the sea. Here’s your boat ride!